When you think about digital accessibility, what do you think of? Do you think about how accessible a website or mobile application is to users with a disability? Yes. Do you think about accessibility criteria? Yes. Do you think about WCAG 2.1? Yes. But do you think about the high street? Probably not. Have you ever thought about how a person with accessibility needs such as colour blindness might select an item of clothing or how someone with dyslexia might interact with a self-checkout in a supermarket? Scenarios, that to most people would be considered an everyday ordinary task but for others might pose various barriers. The Equality Act 2010 and Disability Discrimination Act (DDA) mean retailers have a legal obligation to ensure they make reasonable adjustments in their stores for disabled customers. Many retailers have recognised the challenges physically disabled customers face when navigating their stores and have focused on areas like widening aisles, providing wheelchair access and lowering store counters. 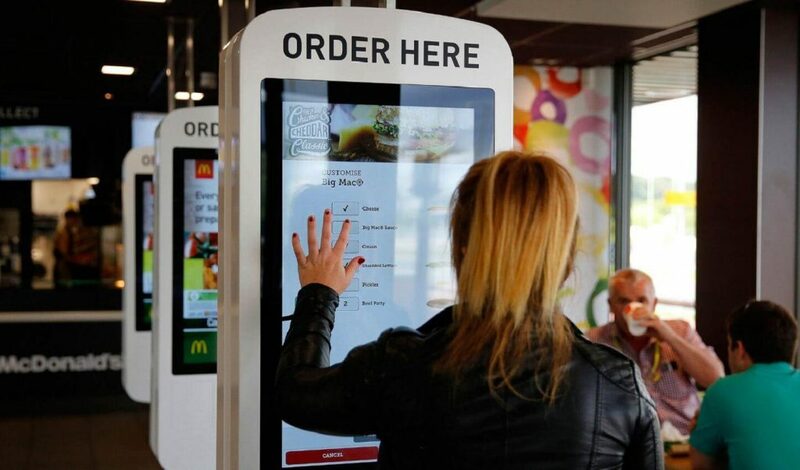 In more recent years, self-service checkouts have been introduced in supermarkets and interactive menu selection in some fast-food chains. Allowing customers with hidden disabilities like communication anxieties or language barriers to shop or place an order without the pressure of interacting at a counter. More than 2 million people are living with loss of sight. 4.5% of the population are colour blind. 19% of the population have a hearing impairment. This is equal to 1 in every 7. 10% of the population have dyslexia. 3.4% of the population have a manual dexterity impairment. However, digital accessibility is not limited to users with permanent disabilities; it extends to users that are experiencing temporary or situational disabilities. How can the high street become digitally accessible? When creating an accessible experience on the high street, retailers will design the physicalities of their interactive hardware with all their customers in mind. For example, ensuring the height of hardware is suitable for tall customers as well as customers with physical disabilities. To provide an accessible digital experience on the high street, retailers need to also consider the accessibility features within their hardware. By following accessibility criteria, retailers can ensure that they create an ever increasing accessible in-store experience for all customers. We all see things differently but for some people it’s significantly harder to distinguish between shapes, colours or patterns. Visual accessibility needs can include some level of visual loss however the contrast between foreground and background colours also affects people with colour blindness and dyslexia. Even if text is visually perceivable, an audio transcript should be available for users that have a more severe visual impairment. Likewise, if a person has hearing impairment any audio should be made available in text. Users should be able play, stop and pause audio and video. This is important for people who have difficulty focusing on visual content (including text) when audio is playing, or where videos and moving content is a distraction from important information. Again, for anyone with a visual impairment, something as simple as being able to enlarge a font size can be the difference from an interactive interface going from being inaccessible to accessible. Many people who are legally blind will still be able to experience some level of sight and could potentially be able to identify the outlines of letters and shapes to understand a self-checkout, if a changeable font size was implemented with consideration. Why should the high street embrace digital accessibility? In any industry, winning and keeping customer loyalty is key to success. But figures from a recent study show that 3 in 4 disabled customers have left a store due to a bad experience with 80% saying they choose to shop in stores that actively support disabled customers. This can equate to a huge loss to any business, with the latest Government figures estimating that the spending power of disabled people, ‘the purple pound’, has risen to £249bn. With that in mind, if retailers provide an in-store experience that encompasses both physical and invisible access needs they are more likely to realise the potential of the purple pound. But it’s not just about money. Accessible digital or physical experiences are better for everyone. They place the person at the core of the experience. If you would like to find out more about accessibility testing, check out our accessibility testing service page. If you’d like to get in touch about anything else, please head over to our Contact page.